Information about Bob Meucci Custom Cues. 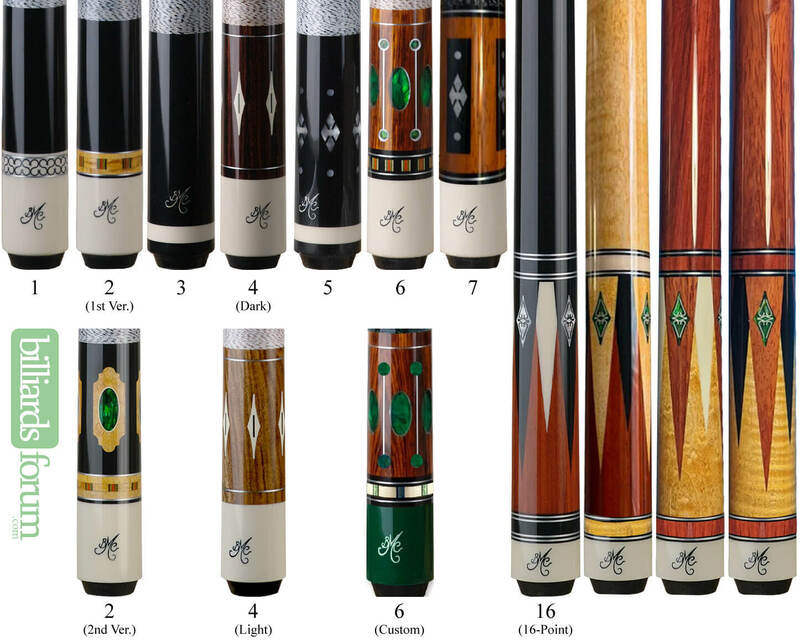 BMC pool cue valuations, BMC cue identification, etc., including a listing of all BMC pool cues which can be used to research old Bob Meucci Custom Cues or identify a BMC pool cue. A historical database and listing of BMC cues model numbers and other information about Bob Meucci Custom Cues. Below is an archive of BMC cues. You'll find retired BMC cues as well as current BMC cue series, and one-off custom BMC Cues. Below is a list of custom BMC Cues or one-off products which don't belong to a specific product line. Bob Meucci Custom Cues Logos. Past and current BMC Cues logos, marks, symbols, and identifiers. A logo from Bob Meucci Custom Cues brand pool cues. This Bob Meucci Customs logo _. A BMC Cues logo from Bob Meucci Custom Cues brand pool cues. This Bob Meucci Customs logo has been in use since 2001. The "BMC" portion is still found on the BMC cues made today, but the "cues" part generally is not. A black and white BMC Cues logo from Bob Meucci Custom Cues brand pool cues. A white BMC logo from Bob Meucci Customs. 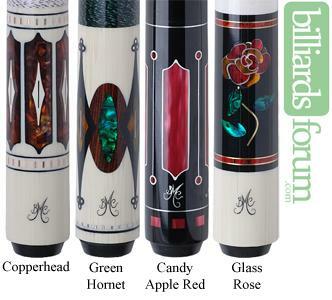 BMC is a maker of pool cues, also known as Bob Meucci Custom Cues. 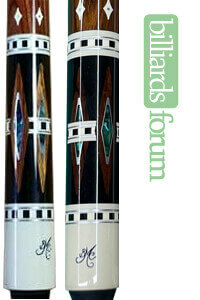 A black BMC pool cue logo from Bob Meucci Custom Cues brand pool cues. 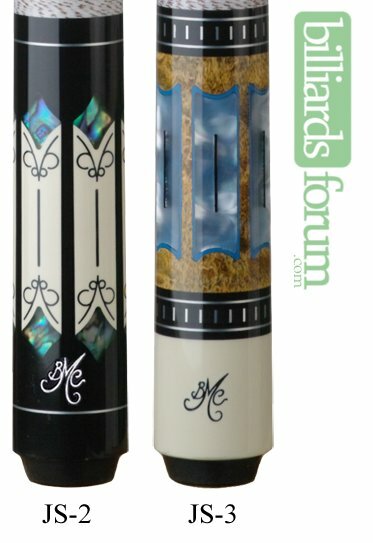 A white BMC pool cue logo from Bob Meucci Custom Cues brand pool cues. BMC Cues (in the current incarnation) appeared on the scene around 2001-2002 via bobmeucci.com as well as the Meucci website. Bob Meucci Customs are now sold by select Meucci dealers, including Budget billiards, Billiard Warehouse, Cue and Barrel, and Cypress House in TX. For some of these retailers, Bob does an exclusive line of cues e.g. 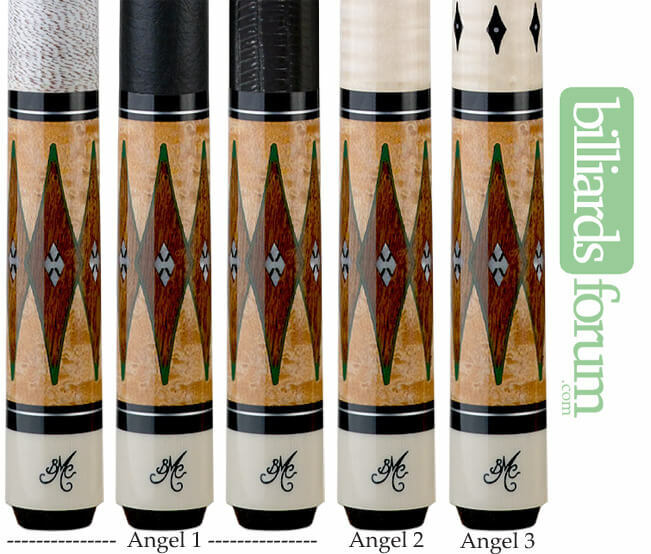 BMC Angel cues for Cue and Barrel, or the exclusive line done for Cypress House, etc. Dealers tend to either be friends of Bob and his family or a top selling Meucci dealer. Though the budgetcues.com website claims to be the exclusive retailer of BMC cues, this turns out not to be the case. Are BMC Cues Better than Meucci Cues? No. 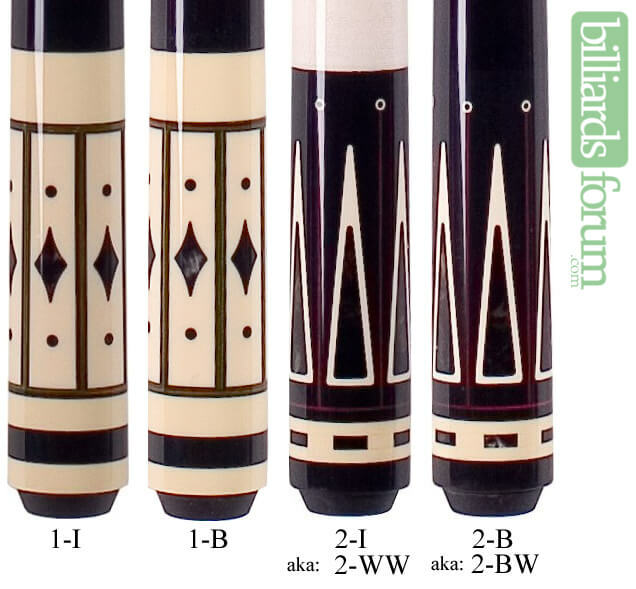 BMC cues are the same as the regular line of cues, except the designs are produced in limited number runs (whereas most Meucci lines are made for long periods of time with no limits on production numbers). So the designs and production quantities are different but they are made using the same factory, machines and production methods as other Meucci cues. The quality is the same all around. We can see from looking at the literature from the Bob Meucci Customs website, the initial intention was to produce cues in limited quantities of 5 or 10 cues for each design (circa 2002). Fast forward to 2005, we can see the verbiage changing, with advertising which indicates that "most cues limited to 50 or 100". In 2017, they aren't even giving hard numbers anymore. The verbiage now says: "Only limited units of some models will be sold. The limited models are signed by Bob Meucci." In the earlier years e.g. roughly 2001 through 2007, you would be ordering a "customized" cue. Note I say "customized" and not "custom". This is because you pick from a standard design, then tweak certain aspects within a pre-defined range of options. The ordering process for these customized BMC Cues was straight forward. 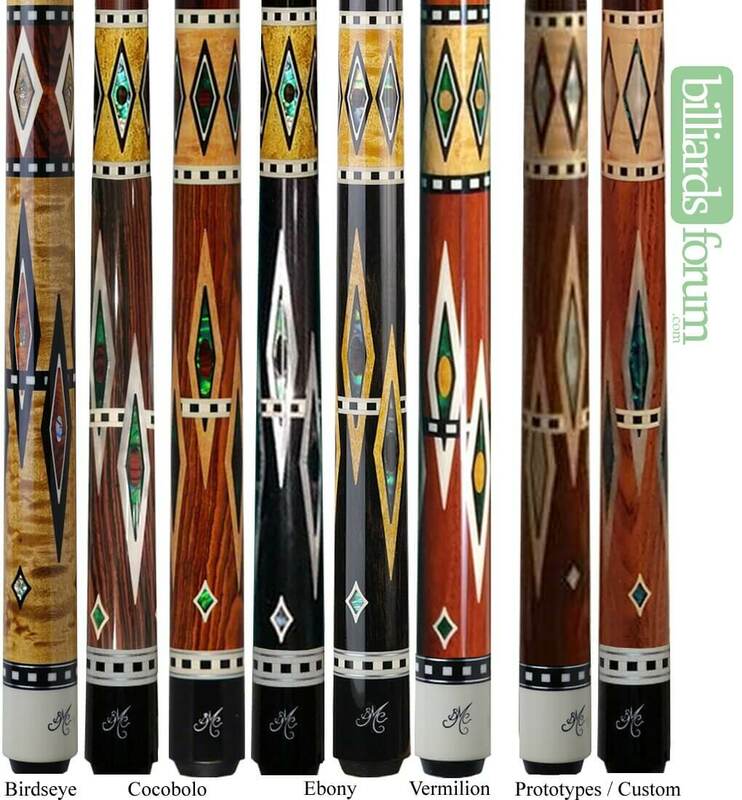 When you decide to order a Bob Meucci Custom cue, you would get on the phone with Julia Meucci-Patrick (Bob's Daughter) who runs Budget Billiards, and Bob Meucci would also usually be on these calls. 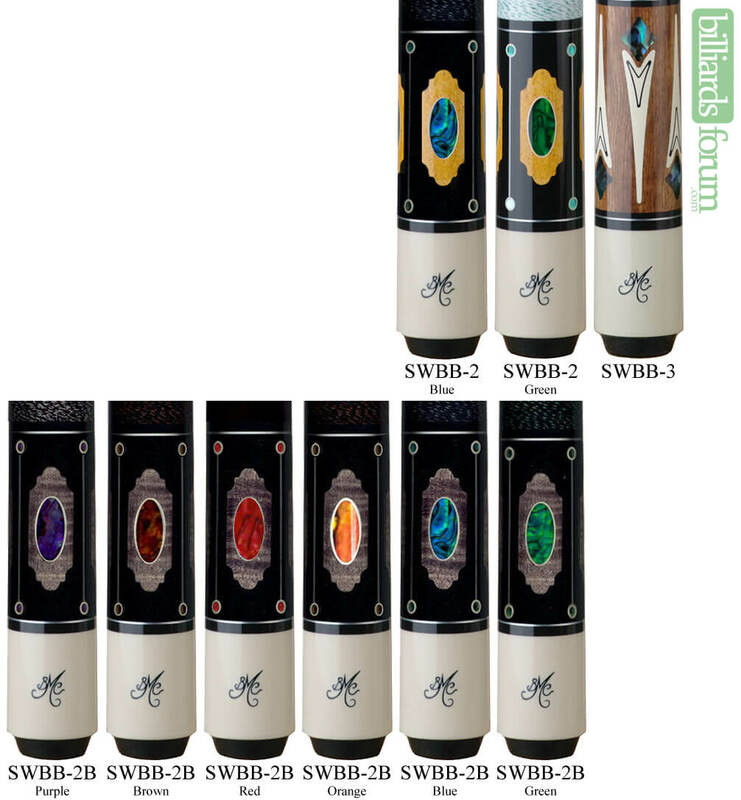 In this call, you would spec out your customization, such as cue length, shaft diameter, and weight. The three of you would be on the line, jointly discussing your ideas for the cue. You would discuss your specs with Bob, and confirm the order and pay up front (with Julia). Once this was done, your cue would be produced and shipped to you within a number of weeks (depending on volume at the time). In more recent years, there is less focus on customization. Many are produced in lots of 50 or 100 cues ahead of time and sit in dealer's inventory. Customization would typically be limited to the type and color of wrap, weight, shaft type, etc. But keep in mind - Meucci will make you just about any cue you want if you are a paying customer willing to cough up $750 to $1500. Bob Meucci Customs - Direct to the player who wants something special: Introducing a new line of BMC cues, many of them limited editions, designed by Bob Meucci. Bob Meucci will personally sign and date all of the limited models, under the finish, ensuring that they will be collector's items. These cues are true Custom cues in every sense of the word! So far as to guarantee that we are able to match your sight picture with our advanced technology and knowledge of the performance of a custom cue. 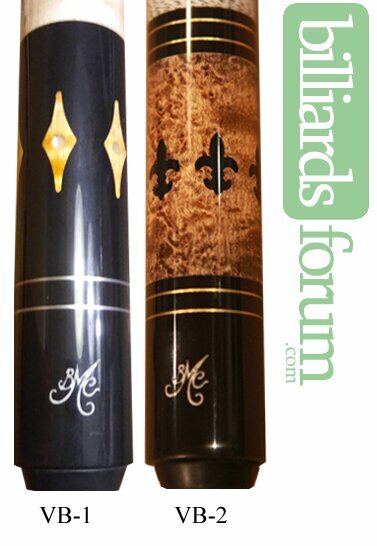 Bob Meucci Custom cues are special new designs by Bob Meucci, manufactured entirely in the Meucci Factory in Byhalia, Mississippi. Only limited units of some models will be sold. The limited models are signed by Bob Meucci, and every Limited Model Cue Comes with a Shaft. Budget Billiards is the Exclusive Retailer. Bob Meucci Customs. Direct to the player who wants something special. Bob Meucci is setting up his own personal workshop on his private ranch for the purpose of custom building new cues to your personal specifications. These exclusive designs will be limited to 5 - 10 cues of any particular designs. Each cue will be numbered & dated and will come with 2 of Bob's highest performance 35 piece maple flat-laminated shafts with either a Meucci laminated tip or tip of your choice. 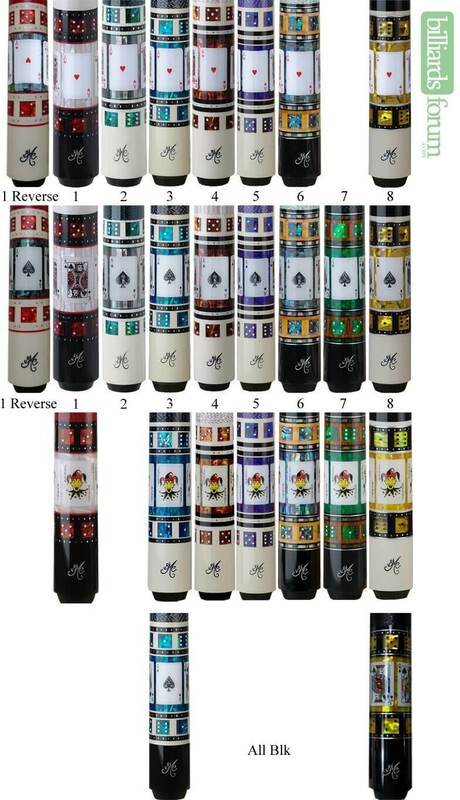 Your cue will have custom joint protectors, to match the design of your particular cue. 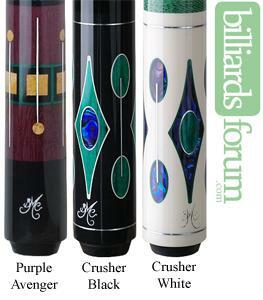 Your cue will will be built to your weight & grip requirements. These new designs will be instant collectors items that will increase in value weekly. Each will be built with Impeccable quality with performance un-equalled anywhere in the world. 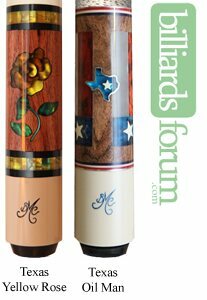 Don't miss the new BMC "Bob Meucci Customs" brand new designed cues at temporarily reduced prices direct to the consumer collector. Most cues limited to 50 or 100. Questions about BMC pool cues? Something not quite correct or some info missing? Let us know using the form below.